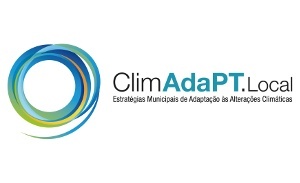 ClimAdaPT.Local project is aligned with the main aims of the European Strategy for Adaptation to Climate Change and of the National Strategy for Adaptation to Climate Change (ENAAC), and is demonstrating that the European Economic Area Grants (EEA Grants) and the Portuguese Carbon Fund (FPC) are effectively promoting adaptation at local level in Portugal. The specific objectives of this project are: 1) the incorporation of the climate change dimension at local and municipal levels in Portugal; 2) the creation of a community of municipal officers, aware of the issue and trained in the use of tools for decision support in adaptation; 3) the promotion and provision of local knowledge on adaptation to climate change, particularly in developing strategies, planning and implementation of measures and communication of results; 4) the reduction of barriers and constraints to the involvement of local actors in processes of adaptation; and finally, 5) the integration of adaptation policies into planning and decision processes at the municipal level. Comic book "Special Report - Adaptation to Climate Change in Portugal" available for download here. Banda desenhada "Reportagem Especial - Adaptação às Alterações Climáticas em Portugal" disponível para download aqui. Funded by the European Economic Area Grants (EEA- Grants) and the Portuguese Carbon Fund (FPC). Consortium: cE3c-FFCUL, CEDRU, WE Consultants, QUERCUS, ICS, FCT-UNL, UAveiro, CIBIO, C.M.Cascais, C.M.Almada, C.M.Sintra, cChange.